The artist John Ruskin's Victorian garden at Brantwood is set on a Cumbrian mountain side estate. 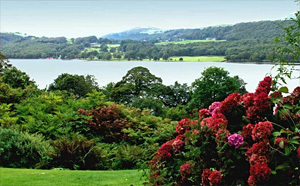 With beautiful woodland walks, streams, and dramatic views over Coniston Water. A delightful spot, filled with many rare plants and a fine collection of old fashioned Roses. Broad terraces look out over green fields at the side of the house. A formal knot garden at the rear leads to a more informal area with gravel paths bordered with shrub roses and traditional herbaceous plants. Beyond this lies a wild garden area with lovely woodland walks. A mix of formal and informal gardens, woodland, wildflower meadows and rolling parkland. Features include spectacular water features, a labyrinth, charming rose gardens and vibrant spring and summer borders. Fine collection of rare trees and shrubs. 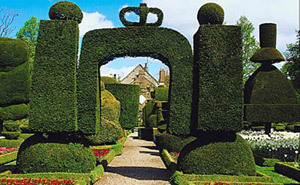 Levens Hall is renowned for its ornate gardens and ancient topiary. The original garden layout, with clipped yew, box hedges and lawned pathways has remained virtually unchanged since its inception in the 1690s. Other highlights include colourful herbaceous borders, orchard, nuttery and historic herb garden. 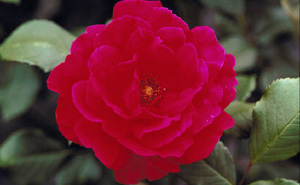 Large collection of rhododendrons, camellias and azaleas, which look magnificent in spring/early summer. With hydrangeas and maples giving late summer/autumn colour. Wide variety of other attractive shrubs and trees to see. 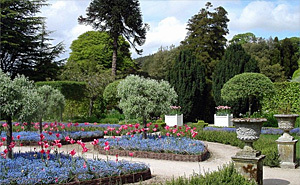 Around 45 acres of informal gardens and 50 acres of parkland, originally planted in the 1780s by Lord Muncaster. 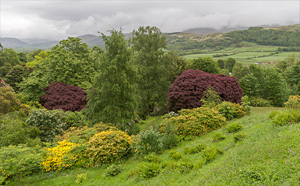 Wordsworth's garden retains much of its original design, with terraces, rock pools and an ancient mound, as well as magnificent views of the lakes and fells. 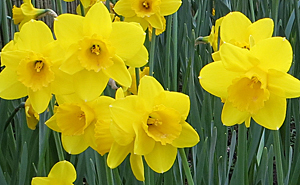 The area between Grasmere church and the River Rothay is ablaze with daffodils in spring and is said to have inspired Wordsworth.